MeinkeToy has a clean new look on her website. The books literally burst off the page with fabulous color and, of course, inspiration within. I was specifically pointed to this Lustr’ed Cloth by Alyson Mydgelow Marsden, about which Nina says “now I am not wanting to experiment with metals but sheers, metallic fabrics, shiny patent leathers, or angelina fabrics could be substituted. It would also enable me to use some of those threads that Cherie dyes so well and that make haunting pleas in my direction..” Take a look at the new site, Deb has done a great job. Author JayePosted on Friday, January 4, 2008 Tuesday, June 28, 2016 Categories 2008Tags Book Review, SuppliesLeave a comment on Good. Clean. Fun. 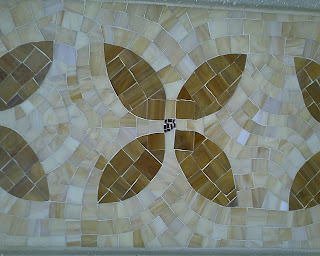 I saw this mosaic as I was walking along University Ave in Palo Alto. I like the coloration of the background tiles. These grow on the fence at my SIL’s house. 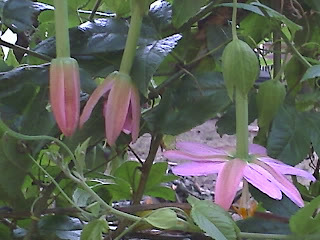 I thought they were quite gorgeous. Now that it is cold and likely to be rainy tomorrow, I thought they would be a perfect reminder of nicer weather. Practice looking. I don’t think I am really looking. Choose a smaller bit of the view. Eliminate detail. Just work with the essentials. I think I am past the hump and hope that I will do more. I know that quilt blocks are not in vogue at the moment, but I love quilt blocks and the possibilities that they provide for creativity. I am particularly enamored of older blocks that have oddly shaped pieces and provide interesting opportunities for coloration and settings. 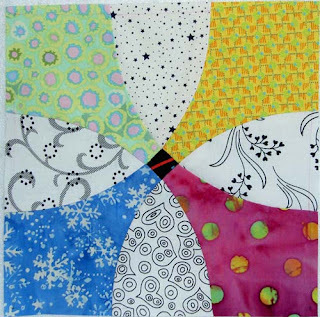 To that end, Rose Lea Alboum has created a variety of indexes to older quilt blocks. She now has created a website, which means that you can see her offerings at: http://americanlegacyquiltindexes.com/index.htm. The website shows the cover of each book and along with a few pages. They are organized by designer or publication and have a small picture of each block along with some basic information such as name and number. Not only do these books provide an organized method of accessing old blocks, but they also provide a look at how quiltmaking fits in with history. The names of the blocks provide ties to history, which show how women connected their art to current events. A great addition would be to add dates to the blocks. I bought the Index to Laura Wheeler Quilt Blocks, which I mentioned in a post last year. It is a slim, self published volume with a spiral binding. I bought this one because I was interested, at the time, in a block called Snowball Wreath, which I discussed in a post in June of this year. There is a brief introduction to the book. The blocks are listed in alphabetical order. Each block has a hand drawn picture along with the name and number. The pictures of the blocks are approximately 3×3″. There are no templates. This is a reference tool and not a pattern book (though it is possible to redraft the patterns). The work also contains an index of names and a list by number (e.g. Laura Wheeler Number Sequence). Now to get the Electric Quilt Company interested enough in these materials to create the blocks they have not already created! Although quite comprehensive, not all of the information that Ms. Alboum has is in EQ6 or Blockbase, but it is easy enough to add. 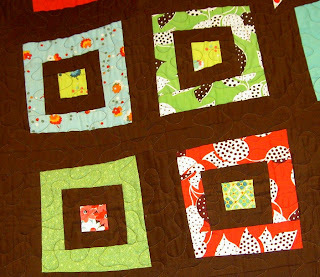 This series is a great addition to anyone’s library who enjoys quilt blocks. 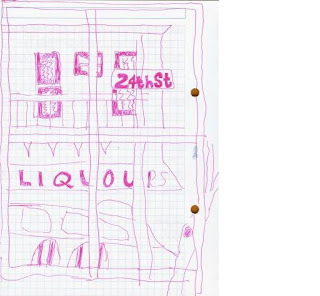 I wonder if blogging can get to be like drinking – too much of a good thing? Well, I hope not, though I do feel a bit hungover at all the posts I have contributed lately and am hoping I am not starting to repeat myself. I haven’t even started to post some of the photos I have taken with my phone. Deirdre should be happy about that as she was looking forward to these “on the go” photos and I have not lived up o the possibilities of mobile blogging. Immerhin! Though I added one measly block, the Flowering Snowball (Cross blocks) piece looks much bigger than it did last time. 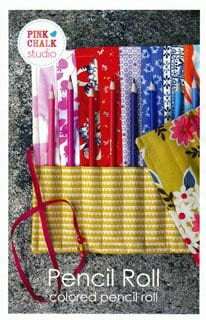 I got a FQ pack of the new P&B Pop Parade from Quilting Adventures. Joyce, kindly, allowed me to not buy some of the fabrics from the line that were not cheerful. I want to make something out of just these fabrics, but I am no sure what. I also neglected to decide on the borders and background and buy extra for those. Oh well, I have a bit of time to decide before they discontinue this fabric, forcing me to go on a web/shop hunt for specific fabrics. May Peace and tolerance spread throughout the world. 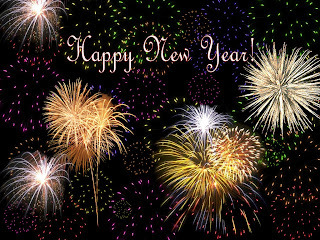 Author JayePosted on Tuesday, January 1, 2008 Tuesday, June 28, 2016 Categories 2008Tags Best Wishes, Off Topic: GeneralLeave a comment on Happy New Year! Serendipity Puzzle: binding and sleeve still need to be hand stitched on, but I consider this to be complete. I look forward to giving it to the baby for whom it was made. Sharon’s quilt: done and delivered. Thoughts on Dots: done and on the bed. Had a brief outing at the San Mateo County Fair. I thought there were more, but 4 is a respectable number of quilts to complete while working two jobs, blogging, being a parent and taking care of elderly rellies, etc. As mentioned last year, this list in no way implies that I will discontinue starting new projects or finish any of these. Here is my list of UFOs. 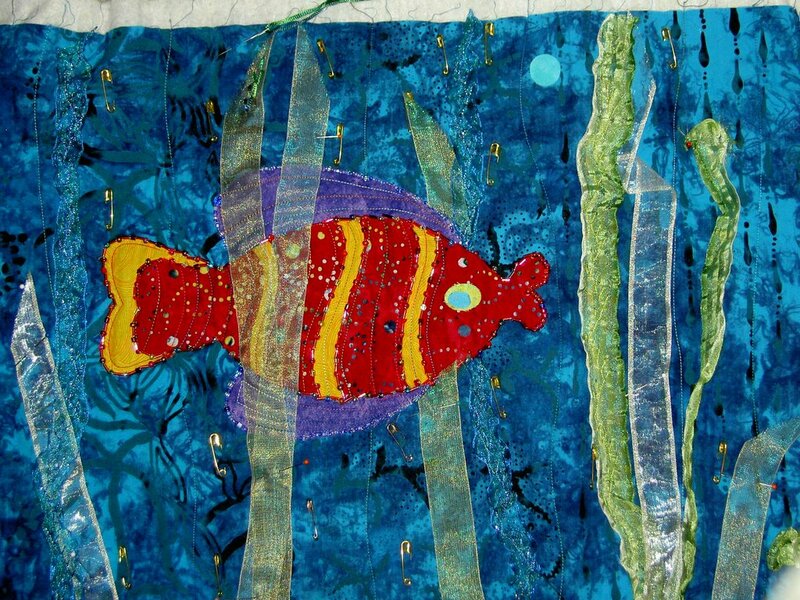 You can see many of them over at Artquiltmaker.comor look at the links I have provided. Baskets: based on a quilt TFQ and I saw at PIQF. We will work on this together as we get together, so I am not so uptight about this project. 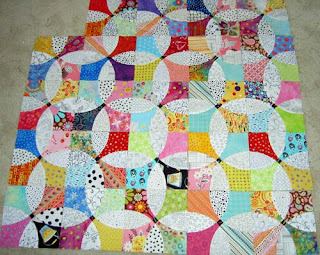 Flowering Snowballs/Cross Block quilt: this is one that moved from the idea stage to the UFO stage. Hooray! Progress! Recently, after a month or so of no progress, I am back at it. I currently have about 16 blocks done and the potential for many more! QA Challenge Quilt: need to fuse the parts and rubber stamp the words. Women’s Work 2: last year I said that this quilt “needs focus.” Was inspired and have the design. This years words for this quilt: needs execution! Here are the quilts I am thinking about. Some are on the list from last year. In some cases I have purchased fabric, but no sewing has been done, so they are not yet considered UFOs. Denyse Schmidt Chocolate Boxes: see the post from August 14, 2006 to see the fabrics I will use. This pattern could be be purchased from Quiltworks Northwest, but it seems to be no longer available. Make it yourself! Colorblocks 3: I want to use this pattern from Sandy Bonsib, but have silk fabric with a luscious sheen instead of the regular cottons. Background will be cotton sateen. What’s holding me up? Backing all the silk. I have the backing and just can’t bring myself to do it. I Spy quilt for DS: hexagons and many of the triangles are cut. I just have to start piecing them. TFQ continually comes to the rescue as she continues to cut pieces for me. 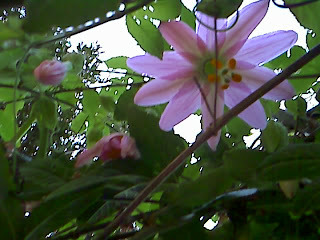 Garden Quilt: I have been collecting photos and patterns of interesting flowers for years and have always wanted to make some kind of garden or flower quilt. It will probably be something like The Tarts Come to Tea. Jack’s Chain: I saw a quilt of this pattern years and years ago and have always wanted to make one. Probably at least a partial hand piecing project. Bathroom ‘quilt’ out of heavy clear plastic. I want to make pockets that I can put interesting things in that won’t get waterlogged. I also think the stitching would be an interesting addition to the piece. I am trying to be more about the process of quiltmaking than the finished product. I have not worked on the Flowering Snowballs in a while, because the last time I worked on it I used up the last of my non-red/pink corner pieces. That meant I needed to cut more blues, greens, purples and yellows. I finally did it! Now I can get busy and finish up some of the blocks that I started oh those many months ago. Stay tuned! I also spent a few minutes of sewing time sewing the binding onto Serendipity Puzzle. Houseguests are gone, I have a few more days off, so I am back in the blog saddle. I have lots to show and talk about, but I will try and break it up into manageable bites. At the beginning of November, I promised a report on my new iron. It is has been weighing on my mind and I have been tripping over the box (not recycled to remind me to write this), so here it is finally! TFQ is my iron monitor, mostly because she presses a boatload of fabric for me each time she comes to visit. Once again, it was time for a new iron, so we went out and bought one when she was visiting for PIQF. I defer to her knowledge since she is usually in the midst of pressing that boatload when my latest iron gives up the ghost. 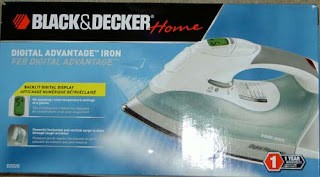 I am partial to irons I can replace relatively inexpensively at my local Target. I know some of you love your Rowentas and other high end pressing tools, but I haven’t heard enough consistently good things about them to spend the money. Change my mind! All in all, I like it. I am still wondering if the iron switch is the culprit for my Pineapple woes. Unfortunately, I didn’t number the Pineapple blocks as I made them so I don’t know if the larger border blocks were made first or after I got the new iron. I really haven’t figured out a way to test the iron on this problem and friends think not, so the iron stays. As an aside, take a look at Tacky Christmas Yards for a bit of Christmas cheer?!? And if you need any apron patterns (great for embellishing! ), take a look at these over at TipNut.com. Marie D pointed them out to me and some are kind of fun. 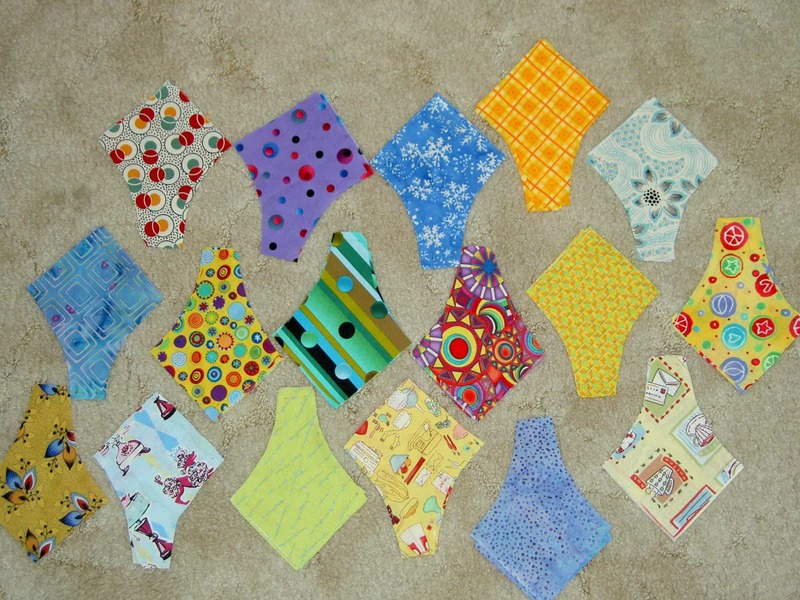 Some time ago, I talked about organizing my quilt photos on Flickr. For a number of photos, where I saw themes emerging, I used sets. This means that a variety of quilts from different shows might end up in the same set because they have a similar theme. I meant to talk about each set and highlight them for you and haven’t yet gotten to it. Since I haven’t been sewing much (though I do have a few things to show you and talk about), I thought I would show you the trees. Trees have been on my mind lately, because they, IRL, are all nearly naked, though there are a few that still have some straggling red leaves on them. When I was organizing the photos, I didn’t set out to have a set of trees. As I was looking through the photos, I saw a number of trees and thought there were enough to create a set. Mostly there are quilts, but there is one inspiration for a quilt photo as well. I thought it was really interesting to see the different interpretations of trees. Some of you are probably remembering that I pointed you to these photos already. You are correct. I am really not being lame. I just have trees on the mind. 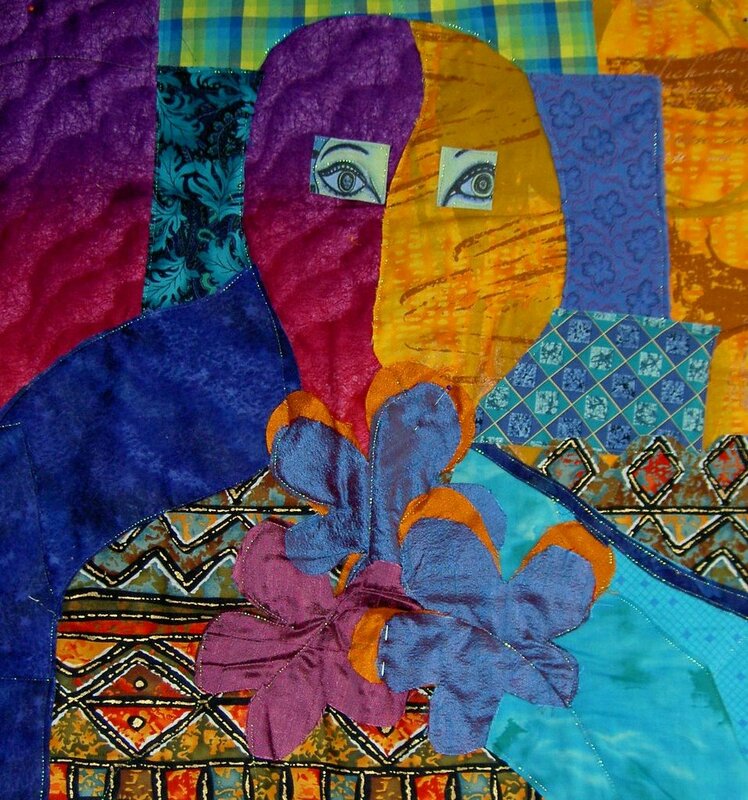 If you have a quilt photo depicting a tree that you would like to include, let me know. Especially lately, since I have been wondering about the Pineapple, I am interested in people’s views on pressing. I have just started to read a blog called Pink Chalk Studio (makes me think of lemonade for some reason?!?). I was breezing through the recent posts (yes, I know how to use a blog reader, but do I ever…No…not really) and she had a post on her blog about her views on pressing. Interesting to hear that she always uses steam. I’ll have to look back and see what types of quilts she makes. In the meantime, I need to consult with a Pineapple Queen. Anybody know one? I followed a link to Pink Chalk Studio’s blog and found these lovely pencil rolls. I would love to say I will run up and make one right away, but it probably isn’t going to happen. I love the way the stripes of color interact and will really have to think about that for inspiration. That lady is NOT me. See my profile for a pic of me. See more on this project at Pink Chalk Studio. Since I can’t seem to think of anything of my own to write, I have been surfing looking at things for inspiration and to show you. PamDora’s Box is always great, but I saw these houses and immediately thought of winter. I am not sure why as there is no snow, but the dots in the sky remind me of snow flurries and the pale lavender might be snow in a sunrise. Enjoy!